Plants propagate through extension via trunk, or root shoots, or by seed. Transport of the male gamete, the pollen, to the female gamete, the ovary, accomplishes sexual reproduction. Pollen dispersal mechanisms may involve the wind (anemophily) or a vector such as an insect (entomophily). 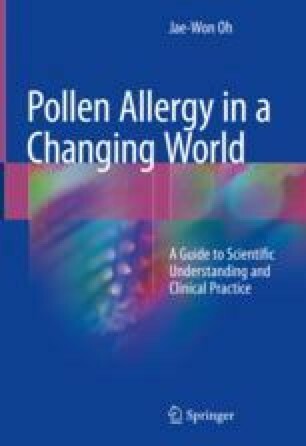 Insect-pollinated plants are uncommon inducers of hay fever, with a few exceptions because they are not capable to fly for enough time to affect the human in the air with its high molecular weight. Some plants using both mechanisms, but primarily insect-pollinated, produce sufficient pollen that becomes airborne (amphiphily) .